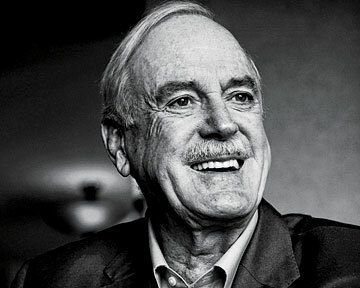 Israelis to John Cleese: Please don't normalise Israel's war crimes | BOYCOTT! We are citizens of Israel, opposed to our government’s policies of military occupation, apartheid, and ethnic cleansing against the indigenous Palestinian people . We write to ask you to respect the Palestinian civil society call to boycott Israel , especially its cultural aspect . Please hear us out. We must admit that your performance in a militaristic advertisement for an Israeli chocolate company, six years ago, has taken us aback. However we hope that in the time that has elapsed since then, you've had an opportunity to learn more deeply about Israel's systematic and daily war crimes, and the calls to end their normalisation. Since late March, Israel has been committing an ongoing massacre in the Gaza strip, of unarmed protesters who are calling for an end to the 11-year-long siege that Israel has imposed on them. This siege renders them prisoners of the biggest open-air prison in the world. In the past six months, in Gaza alone, Israel killed over 250 Palestinians and injured over 31,000, including children, medics, and journalists . Within Israel itself, Palestinian citizens - 21% of the population - are subjected to over 65 laws denying them basic equality, and civil and human rights , culminating in the 'Nation-State Law', which enshrines apartheid into Israel's equivalent of a constitution . Mr. Cleese, the Palestinian people ask for one thing- that the people of the world won't normalise Israel's violations of their most basic human rights. It is in solidarity with them, and with a moral obligation to them that we ask you to respect their call. Please cancel your show in Israel.